You are currently browsing the category archive for the ‘Lists’ category. Yes, I’m aware that I promised to post my review of Dawn Treader, which I haven’t done. The short story is this: Better than Caspian, better than I expected, the green mist was goofy and the Eustace actor was surprisingly great. But after seeing the movie, I started looking at the reviews over at Rotten Tomatoes (a resource I’m glad for) and started noticing the difficulties that many of the reviewers had with the religious aspects of the movie. Now, most newspaper movie critics aren’t evangelicals, and they don’t take kindly to heavy handed religious messages in movies. This is to be expected. What I found to be interesting is how differently they expressed what they didn’t like about these parts of the movie. So I started compiling them and I am posting many of them here. For the most part, unless they were very interesting comments, I have kept this to (1) Major American new sources (i.e. Not Timmy Tompsons Online Movie Reviews) with (2) negative reviews. OK, once again I should clarify that the source books were not a part of my childhood, and I find the whole crypto-Christian aspect tiresome, simplistic and of dubious theological value. . . .
Theologians and C.S. Lewis devotees can discuss the many Christian parallels in The Chronicles of Narnia until the nymphs come home, but the series has always been — for me, anyway – a luminous view of childhood as its own secret country.
. . . overly obvious Christian message . . . The swords are little more than narrative props and too easily found, and Jesus … er … I mean, Aslan helps Eustace break free of a magical curse that should’ve offered dramatic rewards. . . . the film offers an interminable coda that pounds away at Lewis’ heavy-handed religious metaphors. In the end, it’s hard to tell whether Disney is paying homage to the author here or cynically securing an audience that’s so desperate to have its faith validated that they’ll accept a second-rate adaptation of his work.
. . . they’re required to prioritize generic, faith-based messages whose blandness can’t be disguised by Liam Neeson’s emphatic turn as the Christ-like lion, Aslan. Kids, of course, are unlikely to get the religious allusions. All they’ll see is a decent family adventure, perfectly suited to a cold Saturday morning — and likely to be forgotten by Sunday. Of course, when we get to the finale and a visit to Aslan’s Island, we’re bogged down by the Bible once again. And then, at the very end, the lion we’ve all been waiting for makes his full-fledged return; however, the arrival of Aslan (voiced by Liam Neeson) this time marks the clunkiest semi-sermon about Christian values, converting stuffy, science-minded skeptics, and reaching heaven. As I understand it, Lewis himself included as much in the books, but so far as the films go, this one is the least subtle in its underlying message. Eustace doesn’t believe in faith and fairy tales. He spends his time reading, as he sneers, “books with facts.” He isn’t actually wearing a sign on his back saying, “Kick me, I’m an atheist,” but he might as well be. Aslan, the awe-inspiring yet adorable talking lion who, in the religious-allegory scheme of things in the Lewis oeuvre, is a stand-in for, well, Jesus Christ himself. I haven’t read the “Narnia” books, so I don’t know exactly what Aslan’s trip was in them, but in the films, Aslan’s not so much about helping poor people and being mindful of casting the first stone as he is about Manichean moral assessments and achieving adolescent self-esteem within the yellow lines (as it were) of said assessments. The holy lion Aslan (voiced by Liam Neeson) mixes the gentle wisdom of Jesus with the Old Testament God’s gravitas; but so do Gandalf and Dumbledore from secular literature. And when you hear the line, “We have nothing if not belief,” you are forgiven if you think of Peter Pan’s Tinker Bell, who required the faith of the little ones to restore her to life. Lewis’ religious message, underplayed in the previous films, gets its most obvious push here, and it feels a little jarring. 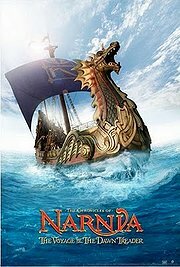 Once upon a time, the Narnia books constituted a beloved children’s fantasy with strong spiritual overtones for those who sought them; Lewis insisted he began writing the series with no Christian symbology in mind, and “that element pushed itself in of its own accord.” Now, unhappily enough, this half-successful film series — ditched by Disney, and since picked up by Fox — has become both a casualty and an instrument in America’s culture wars, and Narnia is widely understood as mainly or exclusively a Christian realm (although it remains too heterodox for some believers). As my friend and colleague Laura Miller (author of the “The Magician’s Book,” an affectionate, skeptical rereading of Lewis) observes, the Adamson-Apted Narnia movies have been significantly Christianized, in the sense that 21st-century American Christianity is a much different animal from the high-Anglican, early-20th-century version Lewis was preaching. This retelling of “Dawn Treader” is relentlessly goal-oriented — our heroes must collect seven swords, and free a bunch of people imprisoned in mysterious green mist — in a way Lewis’ book simply isn’t. It’s also prodigiously sentimental about the sanctity of the nuclear family, an article of American faith that would have seemed totally mysterious to Lewis and his age, when middle-class or upper-class English children grew up barely acquainted with their own parents. While appearing to argue the unchanging verities of faith, “The Voyage of the Dawn Treader” illustrates how much our ideas about God are shaped by culture. Director Michael Apted has injected a greater sense of adventure in this installment, though the references to having faith do little to prevent much of the dialogue from sounding very much like a Sunday sermon without the actual references to specifically Christian names. The denouement brings the sermon home, with Aslan slyly revealing to Lucy that he is known by another name in her world, and that she must seek him out there. A ponderous moment, and one that subtracts from the genuinely bittersweet decision Reepicheep makes for himself. But even so, Dawn Treader is a dreary, meandering, and largely pointless exercise in shuffling from one event to the next, with the religious symbolism that was Lewis’s primary motivation in writing the novels – and Walden Media’s chief reason for producing the movies – largely buffed out, and robbing most of the film’s theme in the process (it’s a weird feeling for me to watch a movie and complain, “There’s not enough Jesus in this”; but at least that’s something). The book’s potent baptism imagery, one of the finest explicitly Christian elements in any of the seven novels, is entirely gone; only at the very end, when the Christ-analogue lion Aslan (voiced, as ever, by Liam Neeson, an uncommonly good choice to play a Christlike animal) explains some rules to the children, does the film lurch towards apologetics, which makes it even worse. Awkward Narnia moment number 300 takes place when Lucy is having her last goodbyes with Aslan, who then comforts her by telling her that he is in her world under another name and she must learn it to know him there. So he’s incognito? A giant talking lion? Actually, in the Lewis book, there are very strong hints as to what that name is, but try getting a pro-Christian reference into a children’s movie these days and see what you get. Having been a part of a bible study a time or two, I have gathered some thoughts about what can make the study time more helpful. Several of these have been learned by watching men like Dan and Bob, who have done exemplary work as study leaders. 3. Check out a commentary or two. 4. Note what the passage says about God. 5. Point out anything that is surprising in the text. 6. But also don’t be afraid of saying obvious things about it. 7. Work through the difficult parts. 9. If the members are fairly mature Christians, check out the Skeptics Annotated Bible and bring their bible-doubting comments about the passage at hand to the table. 10. Oh, and bring donuts. Get the kids to laugh. Help them know that they are safe. Point out the youth passages. Point out ways that individual kids are glorifying God. Encourage them to listen to what goes on in the big sanctuary. Show them you are interested in them. Give them things that will help them think about God at home. Get them to listen to the teachers. 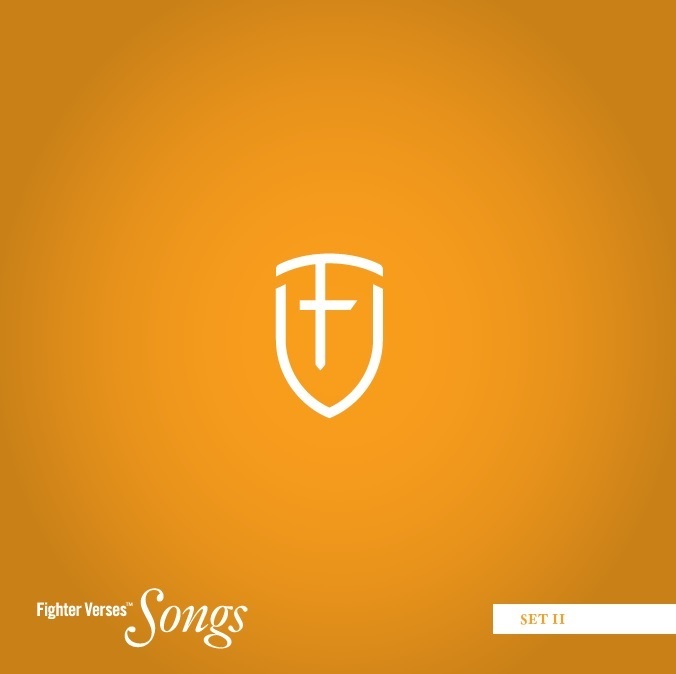 Get them to sing hymns, psalms and spiritual songs. Encourage them to honor their parents. Point out something surprising and happy in the bible. Point out sobering things in the bible. Encourage them to honor each other. Show them that they can have a relationship with God. Show them that they can read the bible. Honor the pastors of your church. Show them what kids through history have done to glorify God. And yes, I’m a bit late in sending it out. 2. It does a good job of telling about our year, and state of being. 3. It shows my interest in numbers and lists. 4. My feeling is – the shorter a Christmas list, the more likely it is that people will read it – but I admit that this year we moved from a third sheet to a half sheet. 1. Sports are (generally speaking) good for a kid’s health. 2. What if one of my kids has untapped amazing skill potential in some sport? 3. If you have never played baseball by the time you are, say, 20, people consider you to be odd. Especially boys. 4. There are things you learn being on a sports team that you can’t learn anywhere else. 5. It would be cool to see a kid score a goal or something. 1. Team sports makes regular full family dinner times more difficult or impossible. 2. Especially with a big family. 3. Generally speaking, people glorify God more with academic ability, musical ability or artistic ability than with sports (This is maybe our primary reason). 4. My kids aren’t showing any interest in being in sports. 5. There is a different kind of teamwork learned by being in a musical organization. 6. But I’m leary of the whole teamwork benefit motivation. 9. Sports means less time for church or any number of important things. 10. We are physically active in other ways. 11. The example of many great people who have gone before us and have done much good with their lives despite having never been involved in sports. 12. If our kids are amazing in some sport, most likely they will discover it and use it later in life. Or they won’t and they won’t regret it. 13. My little involvement with sports growing up did not serve to increase my self-esteem. 2. She sings like an angel. 3. She is (rightly) proud and (biblically) humble. 4. She encourages me in song-writing and picnic-going. 5. She is willing and very able to home-school all of our kids. 6. She makes me want to be a better person, husband and father. 7. Being the daughter of Home Ec major, she is an excellent cook. 8. She is a daughter of God with the goal of being a vessel to bring our children to God. 9. It is still fun to talk with her on the couch after the kids go to bed, even though we do it almost every night. 10. If it weren’t for her encouragement (prodding, urging) in the arena of having and adopting children, I wouldn’t know the love of three or four of my kids. * Not a complete list. 8 Situations That Can Make A Pleasure Less Pleasurable. Thinking too much about how this pleasure could be better if only it was improved in that one little way (or two or three). Knowing that experiencing this pleasure is somehow wrong, unhealthy or harmful to others. Knowing that you are only experiencing this pleasure as the result of a previous sinful action. Knowing that someone more deserving could be experiencing this pleasure. Having already experienced the pleasure too much recently. Knowing that you should be doing something else. Being aware that this pleasure feeds an addiction. 1. My kids letting me sleep in until after 8. 2. Having all of my kids (except a sleeping Foster) and my wife sitting on our bed and singing happy birthday to me. 3. Watching the kids getting down the stockings and being pleased with what was in them. 4. Having excellent French toast for breakfast (mine with lit candles) after my family sang to me again. 5. The Advent Reading (as written by my wife) and getting to light the Christ candle. 6. A little 15 minute after-breakfast nap with my wife next to me and the kids all napping spread out around the house. 7. The way my kids handled it when they found out they weren’t going to open any presents today (relatively agreeably). 8. Finding out that the wrong turn that I made ten minutes ago (on the way out to my Aunt and Uncle’s place) wasn’t going to cost us more than five minutes. 9. Walking in to a house filled with people who loved us. 10. Getting to tell the ‘Bringing Foster Home From The Hospital Story” again. 11. My cousin Andrea’s great interest in Foster and willingness to feed him. 12. Singing a Christmas carol before our prayer. 14. Discussions of blogging around our table. 15. Finding out that aunts and cousins had bought our kids (all of them) presents so they got to open some anyway. 16. That no one forced me to eat the Cayenne Pepper Chocolate truffles. 17. Getting to know my soon to be cousin-in-law. 18. Laughing at my younger cousin’s funny conversation. 19. Hearing nice words about my Dad, and how people miss him. 20. Getting home not too late. 21. Have a good meaningful conversation with my oldest son right before he went to bed. 22. Finishing a movie with my wife. 24. Getting this cool idea for a Christmas blog post idea. 25. Blogging while my wife slept on the couch after feeding the cutest one month old in the Twin Cities. 26. Being grateful that God gives us joy as we give him glory. Top Nine Things A Baby Might Say . . .
9. Um, no. I’m good. Thanks, though! 8. Are you kidding? I can’t breathe out there! 7. Would there be weird colors? Because right now I’m really fond of black and dark purple. 6. <a boy, after hearing about a certain procedure> I’m sorry, what was that again? 5. I would only consider it if the extraction process was stress free for both myself and my carrier. 4. Is it fairly warm out there? Because right now I’m pretty used to roughly 98, 99 degrees. 3. Are you kidding? Can you see this tube thing? I can’t eat out there! 2. Putting my thoughts and feelings aside here, I think we should reflect on how much work I am going to cause my carrier and her partner post birth. I really have no wish to be a burden. 1. Given my current state of peace and comfort, I believe I can best serve and glorify God right where I am. 14 Ways to Make Your Big Church Experience Seem More Like Small Church. 1. Get involved with children’s ministries. 2. Talk to people you don’t know. 3. Find a pastor that you trust and respect. Make him yours. 5. If there is Adult Sunday School, join a class. 6. Get involved in a short term missions trip. 7. Find an elder that you trust and respect. Make him yours. 8. Get there a little early and linger after. 9. Find a niche ministry for yourself or your family. 10. Support one or two missionaries from your church. 11. Get to know the worship pastor. Get on his side. 12. Find a nice older couple who’s been around the church for awhile. Make them yours. 14. And obviously, be in a small group. * But there is also merit in sitting in a different place every Sunday. Complaints from kids: shockingly few, now that I think about it. Our Gratefulness to God for creating it all for us: A lot, but not enough. 1. The exterior of any car (with anything besides a sponge). 2. Any dead animal that you didn’t kill. 6. Most things in other peoples’ homes. 9. Our piano with anything but your fingers. 11. Anything in the garbage can. 12. Anything besides paper with any writing utensil. ** This one takes some explaining, I think. At first I didn’t want the kids playing in our large tent, for fear they would wreck it. I realized that they could wrestle or jump all they want and not damage anything if they refrain from banging into the sides of the tent. So that’s the rule. One of the best gift giving situation I ever witnessed was with my son Daniel (who was 7 at the time – two years ago) He wanted to get a gift for his Mom for mother’s day and his choice was a hand held mirror. Now it should be noted that at that time, when my wife wanted to see the back of her head as she was getting ready to go out, she was using the left over product of a mirror that she had had for years. It had broken several time to the point that she was just holding a three inch cracked piece of mirror glass. So when Daniel suggested it, I thought it was a great idea. So we went to Target and he chose the Green one (because Mrs. Jamsco likes green) and paid for it with his own money (actually personally handing the money to the check out person, – perhaps for the first time). And Debbie was very happy when she opened it and now she uses it every day. – something that shows that the giver knew a little about the receiver. – paid for by the giver. – something that the receiver wanted. – not an item that makes the gift receiver uncomfortable with its expensiveness. – a little unexpected . It is very rare that a gift is all of these things – but Daniel succeeded. Any other gift giving suggestions? 4. He’s been a brat. 8. I’m not feeling affectionate right now. 9. She doesn’t deserve affection right now. 10. He hasn’t been very affectionate towards me lately. 11. She’s independent enough that she doesn’t need it. 12. My last attempt at showing love was not appreciated. * And by “love/affection” I mean words of affirmation and encouragement, hugs, pats on the back and gifts. Also acts of Grace and Mercy. And Training and Discipline. Did I say ‘Evil’? I meant ‘Handy!’ or “Helpful!” . . . on a wide variety of subjects. A way to remember which are stalagmites and which are stalactites: Stalagmites grow from the top of the cave, because stalagmites MIGHT fall on your head. Remembering the Lines on a bass clef: Every good cow eats hay. Animal Classification: Kings put squires on funny green carpets. In 1474 Columbus sailed from shore to shore. Between Principle and Principal: A rule to govern your life is your ‘Pal’. Are there any I missed? I was trying to do something with the five points of Calvinism – but I didn’t have the heart for it. 3. Psalm 27 works well, too. 4. Perhaps you could think of others. 5. Sing Songs of praise. 7. Pray for wisdom for the doctors. 8. Tell them you are doing this. 9. Remember that it is God who heals. 10. Thank God out loud because of the promise of eternal life for the saved – so death is not the end. 11. Witness to a man listening to his iPod in the fourth floor lounge. 12. Use this time as a reminder that all Flesh is Grass and will fade away. 13. . . . and remember the more permanent gifts. 14. Don’t waste the illness. 15. When things are very, very hard, trust God. 18. Work through how the verse that promises only good for those who are in Christ can be true in your situation. 19. Remember that Death will not have the victory. 20. Pray for patients in other rooms. 21. Wish that Jesus would return soon or call the saved sufferer home. 22. Let the less important things be made known to you as less important. 23. Remember that in Jesus we have a God who has already experienced death and has defeated it. 1. Pray for your kids every day. 2. Speak well of your child every time they do something right. 3. Bring your kids to church. 4. Thank God in front of your kids. 5. Teach Sunday School for your kids class. 6. Sing loudly at church. 7. Sing Songs Of Praise at suppertime. 8. Read the Bible aloud. 9. Teach your kids to pray. 10. Teach your children to find the gifts that God has given them. 11. Teach your children how to use their gifts to Glorify God. 13. . . . .Like cleaning up a park. 14. . . . . . . explaining that God’s creation says good things about him. 15. . . . .Or giving money to the poor. 18. Teach your kids that praying shouldn’t be just asking God for stuff. 19. Discipline your kids and explain to them why you are doing it. 21. . . . Or do foster care. 22. Show your kids grace. 24. Ask them to pray for you. 25. Ask your kids forgiveness for a wrong you have done to them. 26. Talk about what is in a child’s heart, not just what he is doing outwardly. 27. Encourage your kids when they learn about God. 28. Give money to your church and work out ways that your child can, as well. 29. Never think you’re a good enough Parent. I showed this to my wife and she suggested that I put “Pray for your kids” as number 1. I have done so. 3. The quick drink of water. 8. Saying the name of one’s listener. Except for Clicking the Heels, which seems more sincere for some reason, these are generally pet peeves of mine.